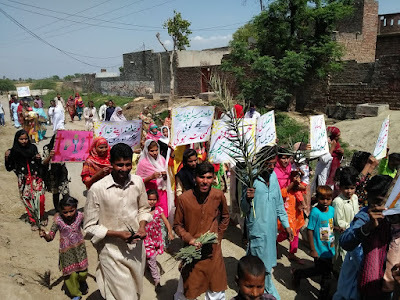 Today we received lots of pictures from our Children’s Rosary groups in Pakistan. 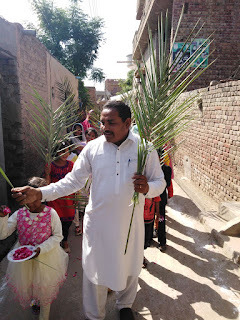 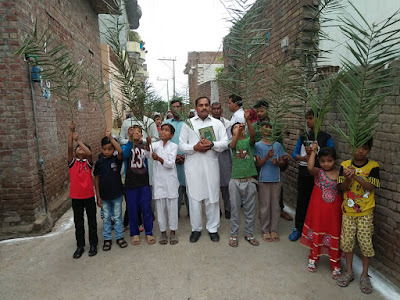 Six Children’s Rosary groups participated in Palm Sunday processions. We wanted to share some of the pictures they sent. 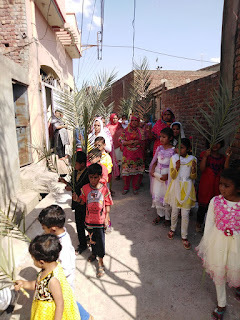 Some of the children carried plates with rose petals which they threw as they walked through the streets. 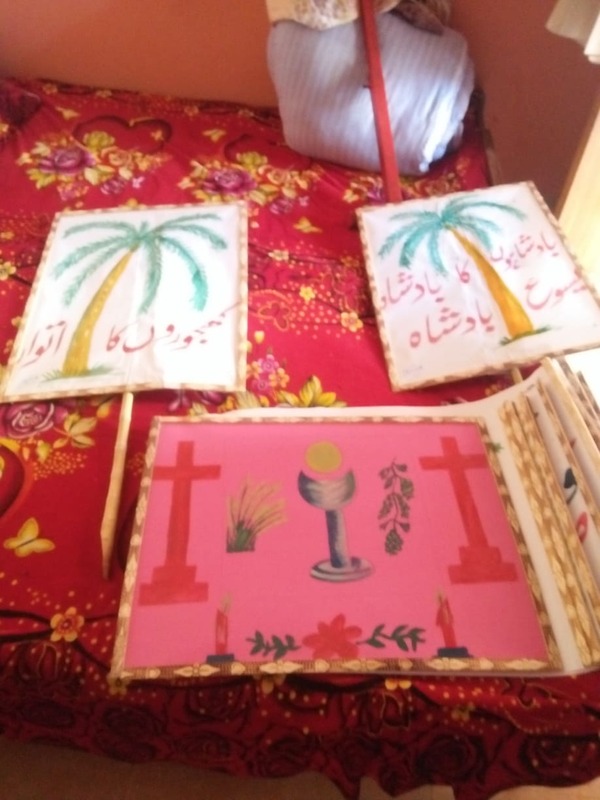 Some of the kids helped in making signs showing the Cross, the Eucharist and the words Palm Sunday.